Recently, my interest in the impact of acclimatisation on Maori led me back to the book. What a revelation! Well actually a series of them. Freshwater fish tend to be neglected compared to our more endearing and iconic fauna, such as the kakapo, kiwi and the tuatara. Partly this lies in the fact that they go largely unseen. But add the Maori dimension (the significance of freshwater fish in their traditional culture), and you get double-neglect. I had no idea what losses Maori had suffered, both in respect to the destruction of the fish and their habitats, but also in terms of their loss of access to the fisheries that they had so long cherished. And then there are the fascinating stories of individual fish. 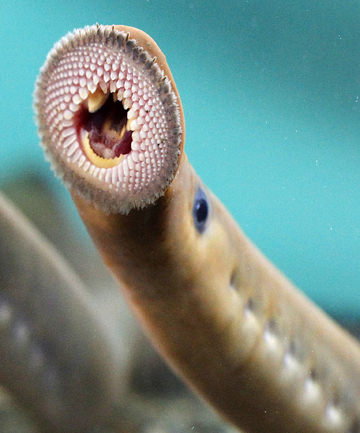 How many people have heard of the lamprey? 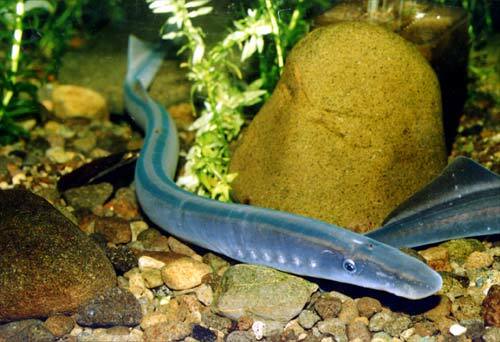 This is long and thin like an eel, so is if often referred to (erroneously) as a lamprey eel. It was generally called the pirahau in the North Island, and kanakana in the South Island. These are found all over New Zealand, but were particularly important to Maori in the south of the South Island. The fishery in the Mataura River, in Southland, was particularly valued by Ngai Tahu. It was the falls on the river that were most celebrated as a place to harvest lamprey, until Europeans built a number of factories on either side of the river, which spewed their waste directly into the waterway. Lamprey are also enthralling in their own right. They are both primitive and very ancient, and only marginally “fish” (apparently). They reach maturity at sea, entering our rivers and streams only to spawn, and eventually die. When they come in from the ocean, they are a shimmering sliver with brilliant blue stripes, but slowly turn a dingy brown. They do not eat once they enter freshwater – up to 18 months! They lack any bones, and their mouth is a circular sucking aperture (see photo left). They do their migrating at night, so few New Zealanders will have ever seen one of these ancient creatures. 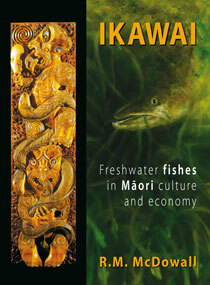 This book is meticulously researched, and Bob McDowall turns a critical eye to all the sources, exposing a number of myths or misapprehensions about our indigenous fish and the Maori relationship with their fisheries. Highly recommended for anyone interested in New Zealand’s environmental history, or the relationship of indigenous/first peoples with their natural environment. Previous Article The front lawn – how has this New Zealand institution fared in the Big Dry? Very interesting indeed. The book is a national treasure.